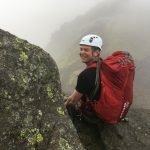 Broad Stand – There is no easy route direct from Scafell to Scafell Pike! Broad Stand is the series of rock steps and slabs which link Scafell to Mickledore on Scafell Pike. 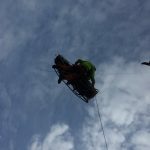 It has been described as a scramble but has moves of rock climbing difficulty above large drops and an unforgiving landing – in the event of a fall. The rock is often slippy and in winter can retain snow and ice long after it has melted elsewhere. 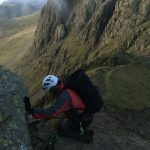 In poor visibility it can be hard to find the correct route which weaves a complex route between Scafell Crag and Scafell East Buttress. 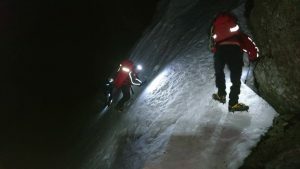 NB – in full winter conditions descent into this area is extremely hazardous as soft snow on Scafell summit might turn into hard frozen neve on the steep north and east aspects in the space of a few metres. The shortest route for walkers going from Scafell to Scafell Pike descends towards upper Eskdale via Foxes Tarn. 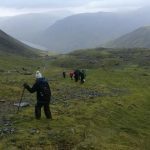 This involves descending steep scree and then a steep narrow gully. 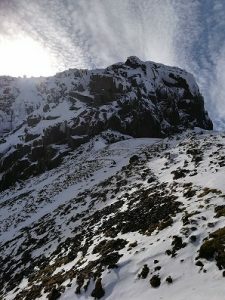 In winter conditions this route may well bank out with a mixture of neve and water ice- crampons and ice axe are essential in these circumstances. There is no easy descent route off Scafell to the east or north. To descend to Wasdale the ridge trending west needs to be followed via Green How. To descend into Eskdale follow the ridge south via Slight Side. 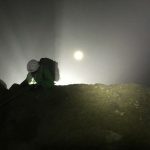 In bad weather you will need to use a map and compass to find these routes. 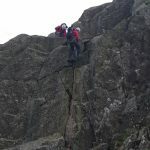 There is a very difficult traverse path immediately below the East Buttress of Scafell. This is a narrow and greasy path with difficult rock steps above a large drop. In winter it banks out to 45+ degrees with snow and ice. Several accidents have occurred involving falls from this path. Broad Stand in winter conditions. 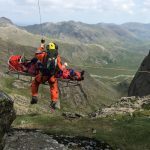 Sunday 25th February 2018- walker found severely injured beneath the East Buttress – probable fall from traverse path, Mickledore, Broad Stand or over the East Buttress. Sadly the gentleman involved died from his injuries. 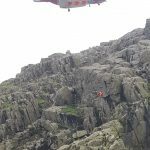 Sunday 2nd July 2017 – walker found dead beneath the East Buttress – probable fall from traverse path or over the East Buttress. 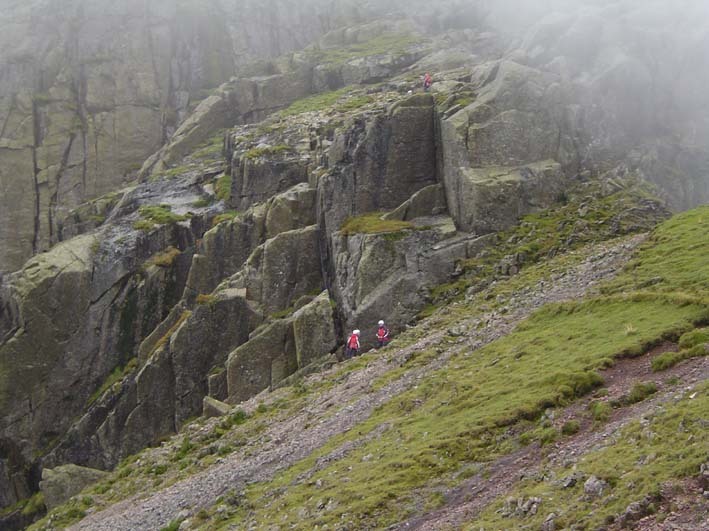 Our Callout Archive: Broad Stand – There is no easy route direct from Scafell to Scafell Pike!